Take the Bruce Lee Online Slot for a Free spin with no sign-ups. Bruce Lee Dragon’s Tale is a sequel of original Bruce Lee online pokie. If you are a fan of the Chinese legend, this game will keep you entertained for yonks. It is WMS powered slot machine and is part of the developer’s Super Multi-Pay games. To this end, it is offered with 4 sets of reels (more like four separate games); one main reel from where wilds and feature symbols transfer to the other three sets of reels. Essentially, all four reel sets function independently save for the fact that this main reel can share symbols to smaller reels. With Bruce Lee Dragon’s Tale offering over ripper payback percentages so you can be sure of a few big wins. This online poker machine based on Bruce Lee, a famous Chinese martial artist and actor. It features 80 paylines spread over four 5×3 sets of reels. Symbols on this game are related to its theme. They include Bruce Lee himself, His Leg Kick, His Block Punch, a Temple, Dragon Logo, Throwing Stars, Nun Chucks, Yin Yang and Chinese styles poker card symbols. Have a free spin on the Bruce Lee online pokie right below or have a go on the first WMS game of the same theme Bruce Lee poker machine. Though there are 80 paylines, you can only play with 40 coins. The best part is that you are offered 2 credits per line meaning you can bet anything between $0.80 and $80. Note that all 80 paylines are fixed. This, coupled with Multi-Pay feature, ups your chances of hitting winning combinations. To play Bruce Lee Dragon’s Tale, set your bet amount and hit “Spin”. This online slot is missing “Bet Max” button and so to play maximum stake, you will have push Plus (+) button to increase your bet manually. Bruce Lee and Bruce Lee Logo pays out highest; land five of a kind on a line and you are awarded 400 coins on one reel set. There is an auto-play option for those who like fast paced games. Wins are paid left to right on adjacent reels. Bruce Lee Logo represents wild icon. It can stand in place of other symbols (except Yin Yang Feature symbol) to complete winning combinations. Yin Yang Feature symbol triggers free spins in this online slot. You will be awarded 10 free spins for landing 3, 4 or 5 Feature symbols. 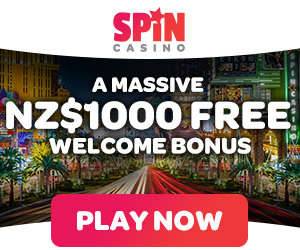 Triggering free spins on one reel set only rewards you 10 free games with 3x multiplier; triggering free spins on 2 reel sets rewards you 10 free games with 6x multiplier; triggering free spins on 3 reel sets rewards you 10 free games with 9x multiplier and triggering free spins on all 4 sets of reels rewards you 10 free spins with 12x multiplier. Free spins can be retriggered during the feature to award you 10 more free spins; a total of 20 bonus games. If you have a few wilds on the main reel during free spins, they are transferred to smaller reels upping your winning chances. The Super Multi-Pay Feature makes Bruce Lee Dragon’s Tale online slot exciting; four separate games each spinning independently but one sharing wilds to other games. You can see these three extra games on the right hand side of your gaming screen. This is a high volatile online slot where wins are huge. Like its predecessor, this slot offers high quality graphics. As you play, Chinese tunes keep you entertained in the background audio. Overall it’s a super busy game for the eye and brain ! Google + Profile: Tina Lim on January 18, 2016. on September 9, 2016.